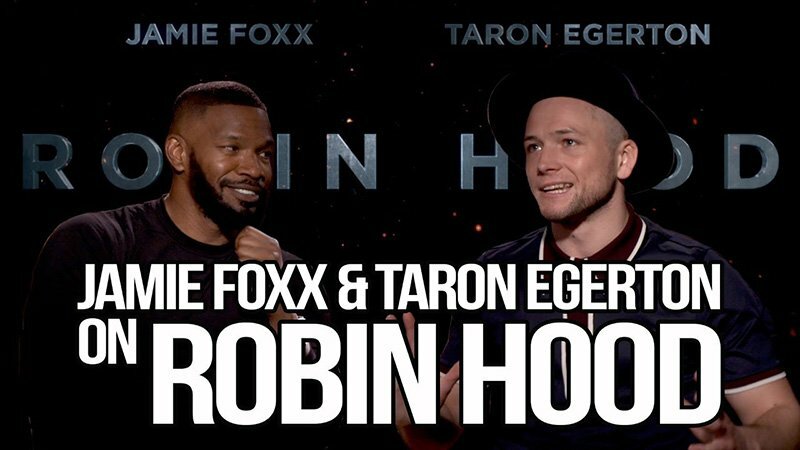 Robin Hood stars Jamie Foxx and Taron Egerton spoke with ComingSoon.net about Lionsgate’s upcoming action-movie, including their first memories of the Robin Hood story, how the new film brings a modern action flare, and how Taron thinks the sequel should be a musical theater piece. Check out the video below, and catch the movie in theaters on November 21! Robin Hood follows the story of a war-hardened Crusader and a Moorish commander mount an audacious revolt against the corrupt English crown in a thrilling action-adventure. Packed with gritty battlefield exploits, mind-blowing fight choreography, and a timeless romance, which is a never before seen story of how our titular hero became the icon and legend as we know him today. The cast includes Taron Egerton (Kingsman: The Secret Service, Eddie the Eagle) as the title hero, with Jamie Foxx (Django Unchained, Ray) as Little John, Jamie Dornan (Fifty Shades of Grey) as Will Scarlet, Eve Hewson (Bridge of Spies) as Maid Marion, Tim Minchin (Californication) as Friar Tuck, and Paul Anderson (Peaky Blinders, The Revenant) as Guy of Gisborne. 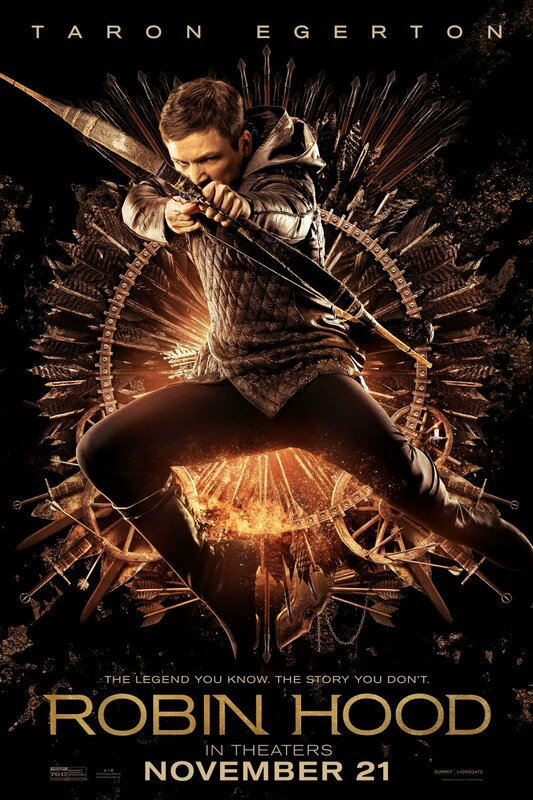 Robin Hood is directed by Otto Bathurst (Peaky Blinders, Black Mirror) from a screenplay by Joby Harold (Awake, King Arthur: Legend of the Sword). The film is produced by Leonardo DiCaprio, Jennifer Davisson Killoran, Basil Iwanyk, Tory Tunnell and Joby Harold.